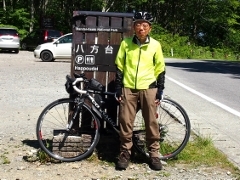 Today I pedaled around the center part of Koriyama City looking for cherry blossoms. 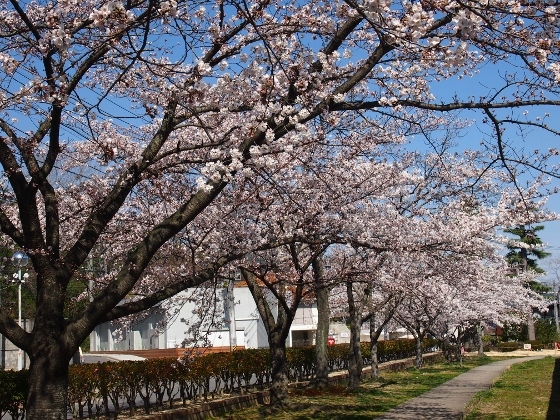 Some places at which cherry blossoms were near the best time to see were shown below in the order of Koriyama Public Hall, Kaiseizan Park, Kaguike Park, Araike Park and Sakabuta Park. Cherry blossoms in Koriyama City came later than Iwaki City and Fukushima City so that I felt like it finally came here. The best time to see will be a few days ahead. 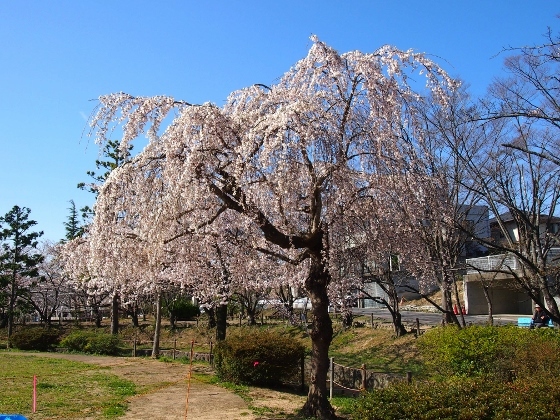 At first cherry blossoms in the garden of Koriyama Public Hall were shown above. The clock said 7:40 in the morning. The location was red asterisk 1 in the map. Next cherry blossoms in Kaiseizan Park were shown above. 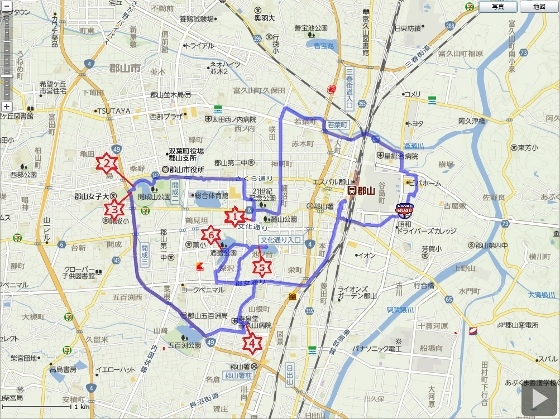 The location was at the cherry blossoms party field which was red asterisk 2 in the map. 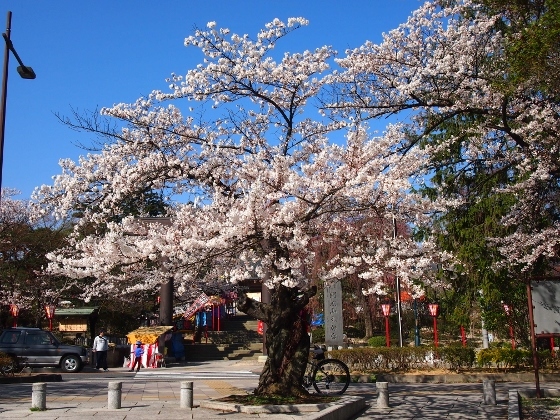 Above photo shows a cherry tree in front of Kaiseizan Great Shrine. The location was red asterisk 3 in the map. 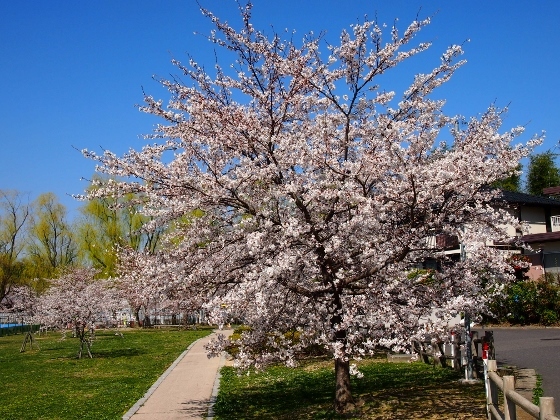 Above photo shows weeping cherry trees in Kaguike Park. The location was red asterisk 4 in the map. 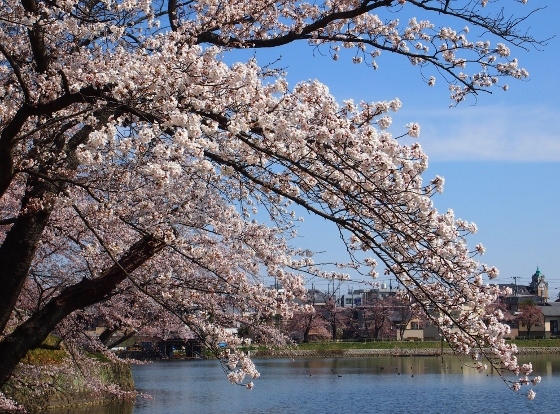 Above photos show cherry blossoms in Araike Park. The location was red asterisk 5 in the map. 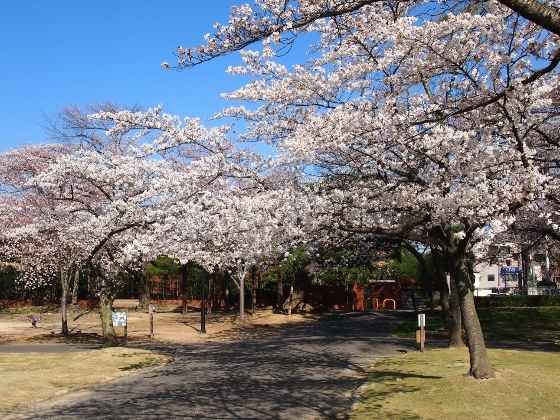 Above photo shows cherry blossoms in Sakabuta Park. The location was red asterisk 6 in the map. 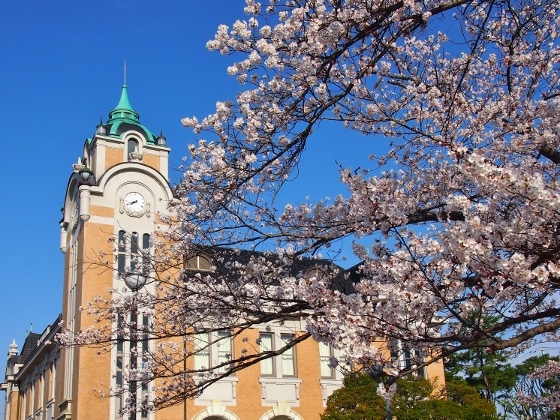 Cherry blossoms in Koriyama City part 2 will be open soon.